Established in 2014, PAC Supplies was formed from a highly experienced team of hardware specialists with a wealth of expertise in the Point Of Sale, Rugged Hardware, Kiosk and Barcoding markets. With over 50 years of combined hardware success within the team, a decision was made to combine our individual specialties to offer a comprehensive solution to the marketplace. Our aim is to work with premier, leading suppliers of hardware, to offer our vast knowledge and experience to a wide range of customers and to deliver the best possible solution for any type of hardware project. The PAC Supplies team has experience in many market sectors, including Retail, Logistics, Leisure, Banking, Government & Military. 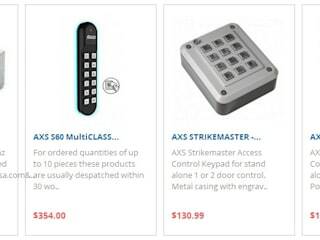 We have sold all types of hardware solutions from simple badge reels to rugged military-grade equipment. The long term mission of PAC Supplies is to earn the trust of our customers and succeed in becoming a globally recognized distributor / reseller of products and component supplies. We are confident that we can offer our customers the highest standards of customer service and support in order to foster, grow and sustain long term relationships.